Collins Booksellers - Dower's Prairie through the Seasons by Steve Hubner, 9781939624109. Buy this book online. Steve Hubner’s photographs and insights reveal a remarkable vista into the rare and nearly vanished prairie of Lafayette County, Wisconsin. Hubner describes how he and his family have worked to protect and restore about 15 acres of prairie that had a history of light dairy-cattle grazing. Ecologists recognize Dower’s Prairie as one of the finest examples of a deep-soil mesic prairie found east of the Mississippi River. Over 30 years ago, Hubner began protecting and restoring a back corner of the Dower family’s dairy farm. The results are simply beautiful. Few have a chance to see this prairie. There is no public access. It cannot be seen from a road. 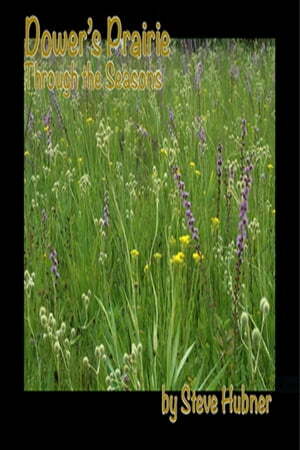 This e-book is Steve Hubner’s way to invite you to visit Dower’s prairie with him. The book features over 45 photographs, each with Hubner’s colorful commentary about the restoration process and its heart-felt results. Hubner identifies 50 native and five invasive plant species that are visible in the photographs. An appendix lists both common and scientific plant names. Sales of this e-book help continue and expand the protection and restoration of Dower’s prairie.